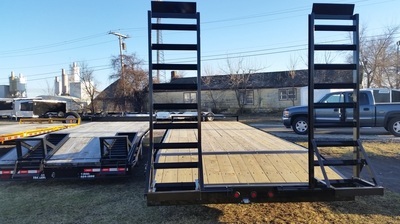 system that will extend from 10 ft. to 14 ft. in just a few simple steps. 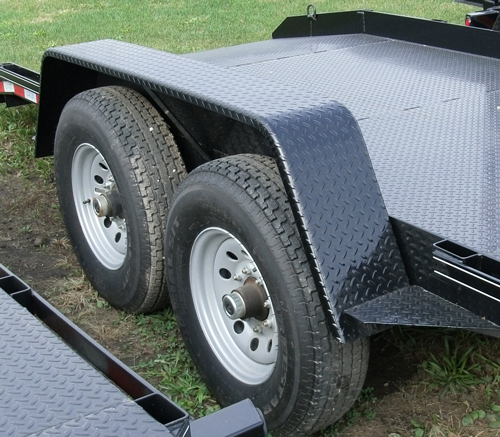 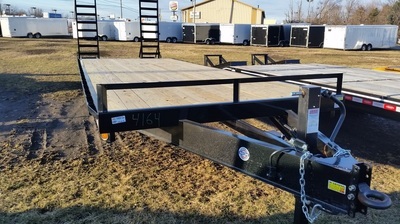 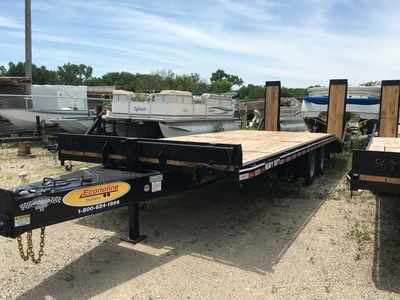 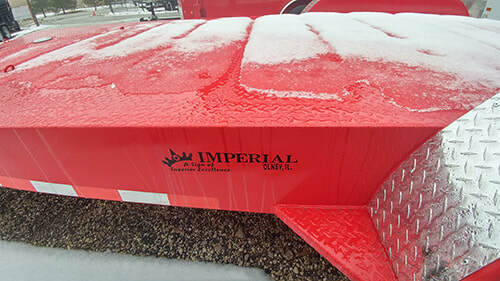 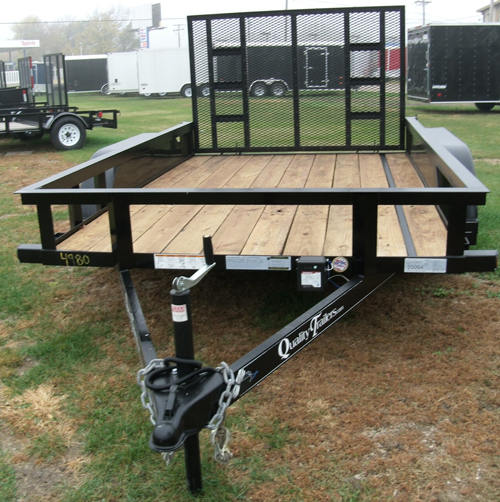 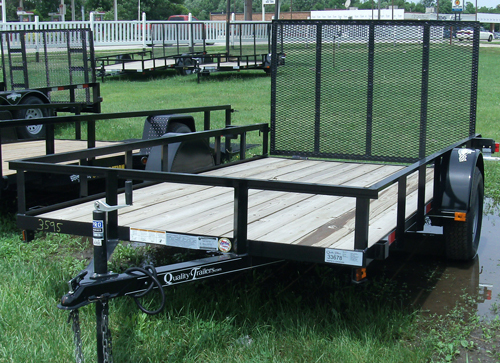 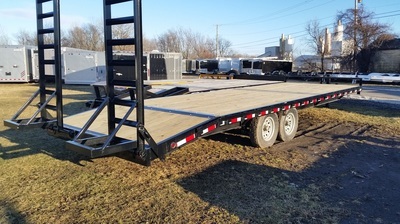 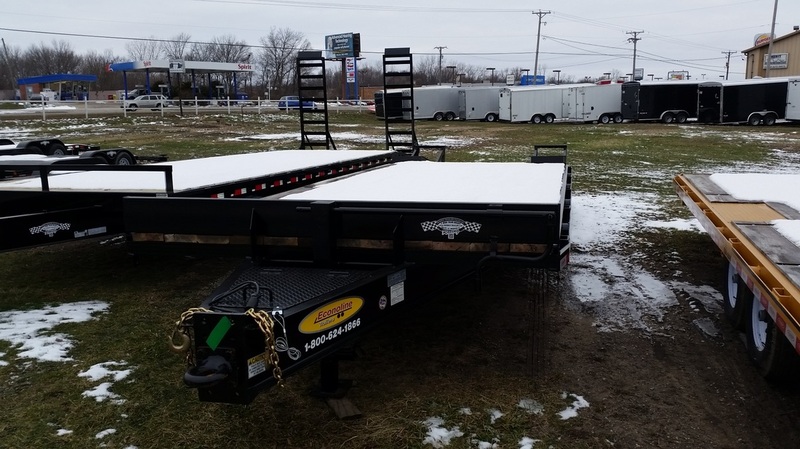 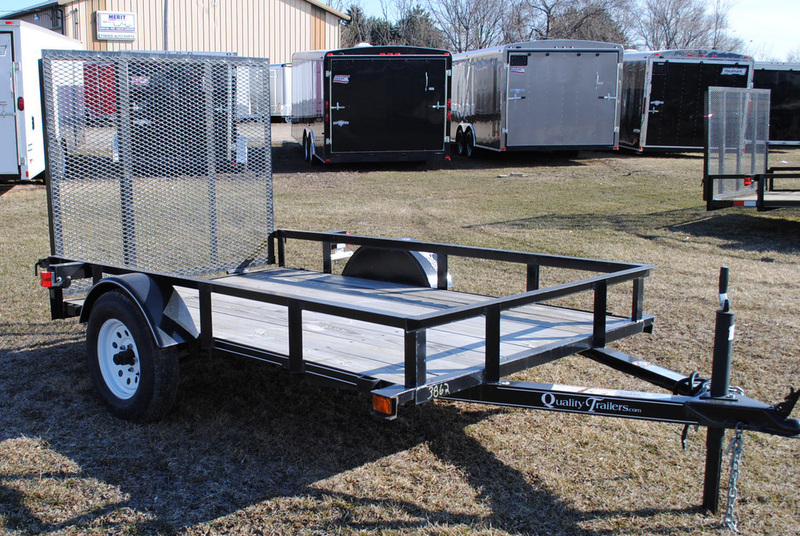 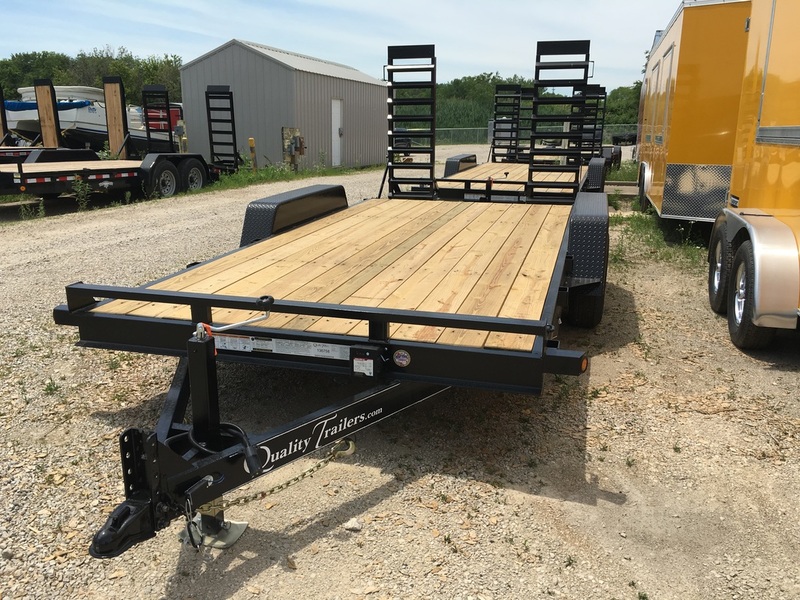 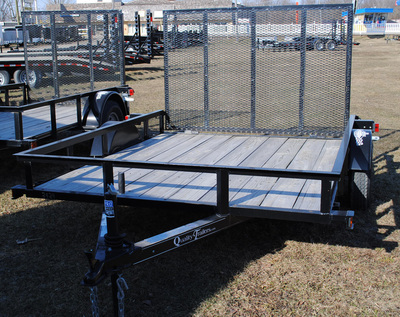 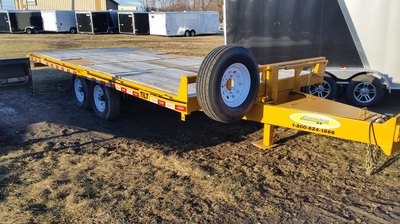 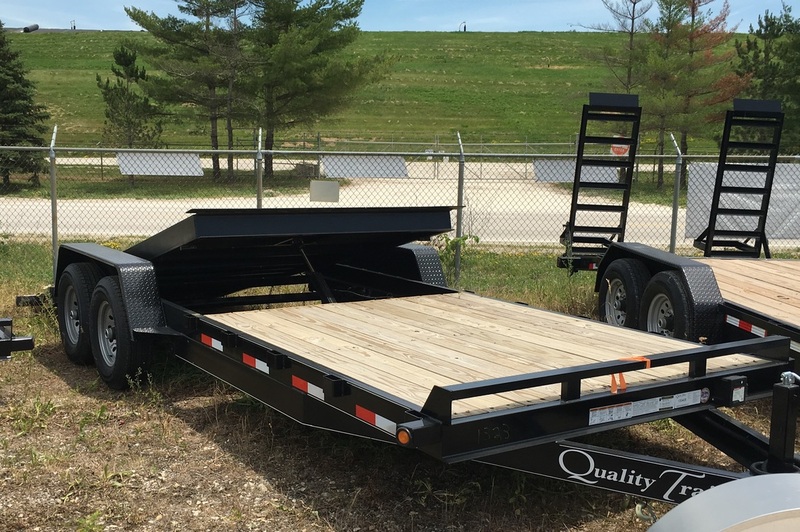 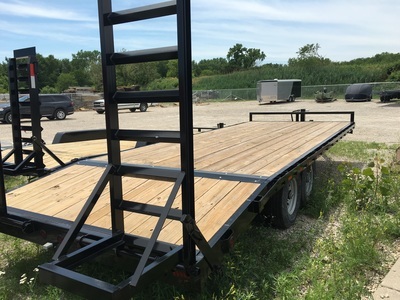 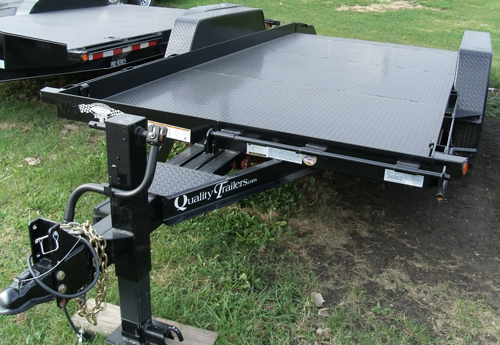 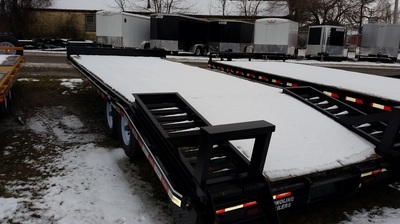 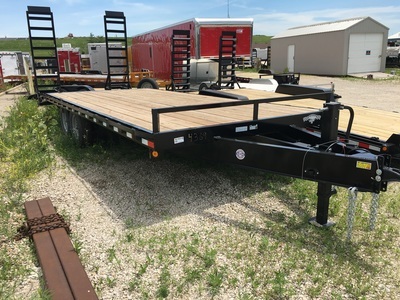 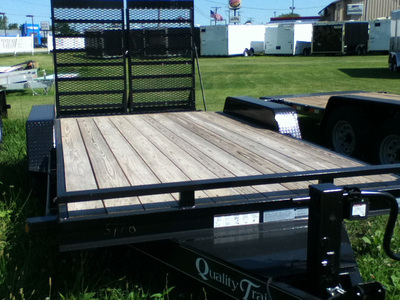 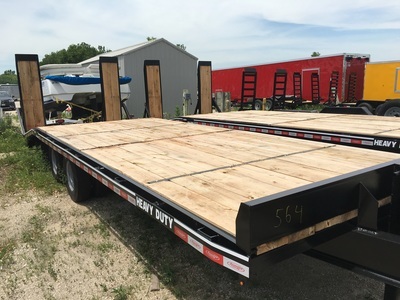 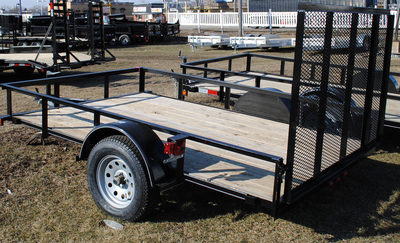 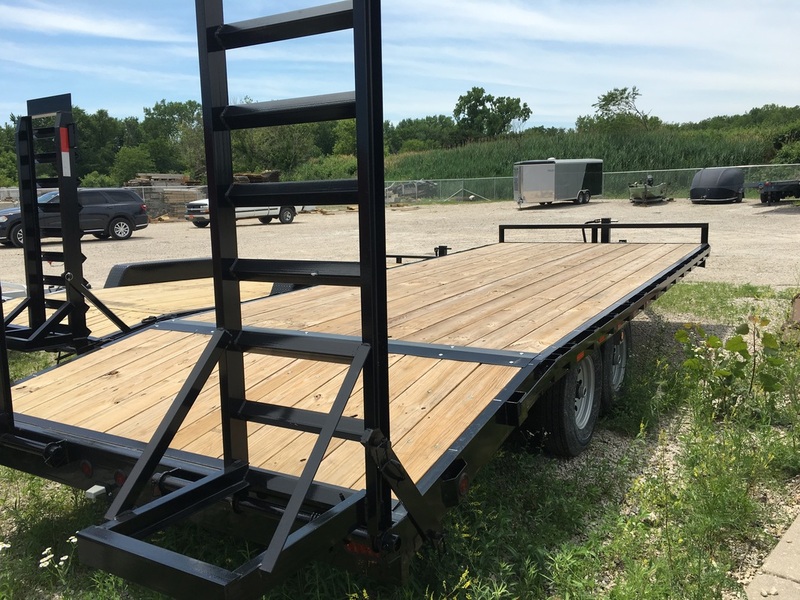 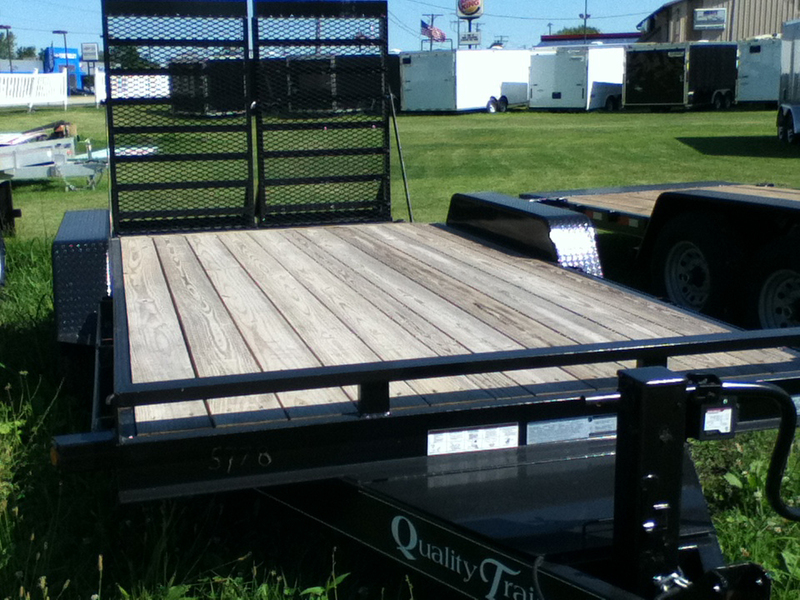 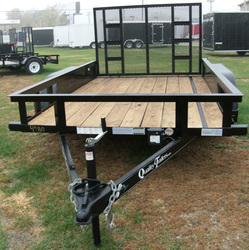 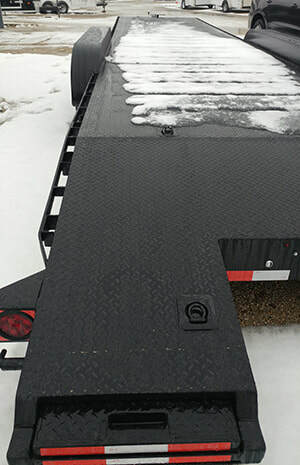 These trailers are ideal for Landscapers, Contractors and ATV Enthusiasts. Empty Weight Approximately 1000 lbs. 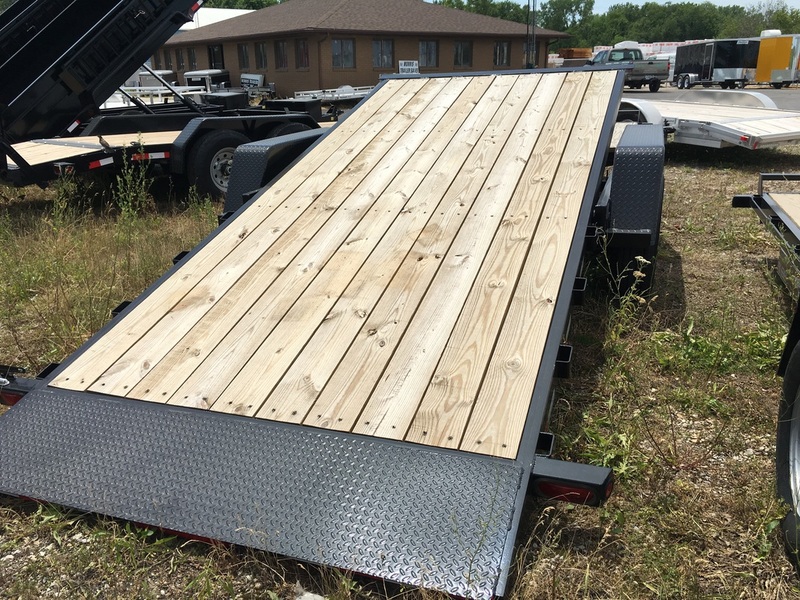 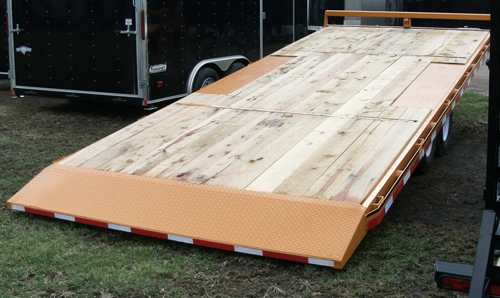 ​Sizes 16', 18' and 20' - Treated wood deck, 82” between fenders, 6” channel frame, 5' swing up ramps. 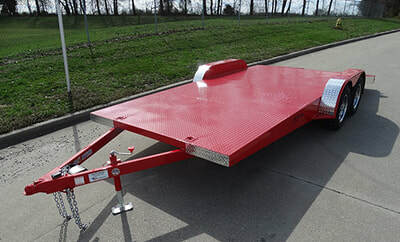 Top 3" channel, 4.1# per. 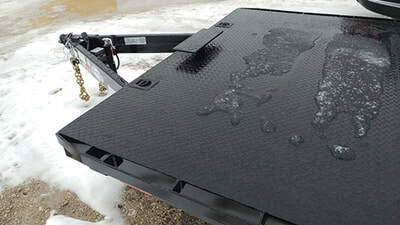 ft.
Bottom 5" channel, 6.7# per. 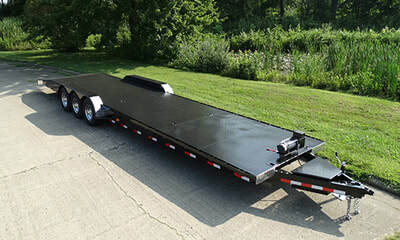 ft.
crossmembers, 5" channel, 6.7# per. ft.
​​﻿Prices and photos subject to change based on availability and stock. 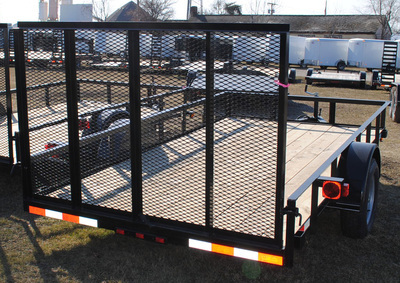 Prices do not include office fees, license, title and tax. Although we make every effort to accurately describe and supply information on this website, we may occasionally make an error. We advise our customers to confirm all information with our staff. 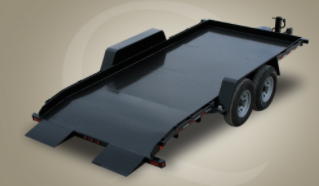 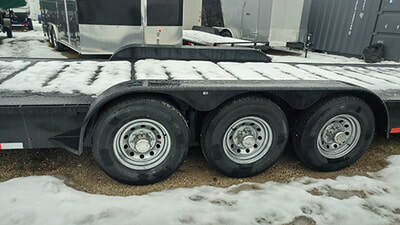 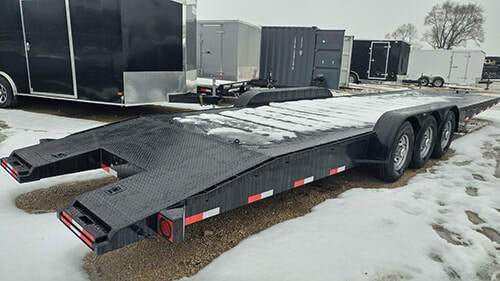 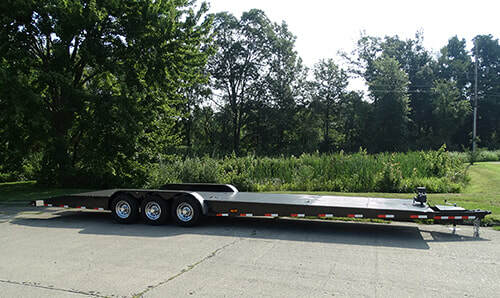 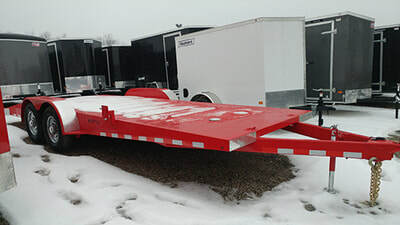 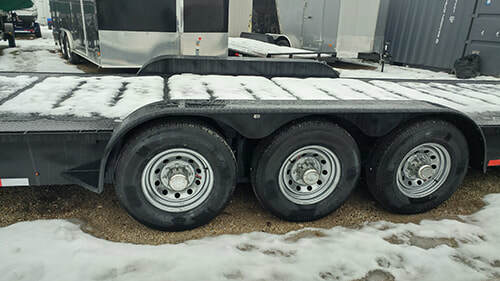 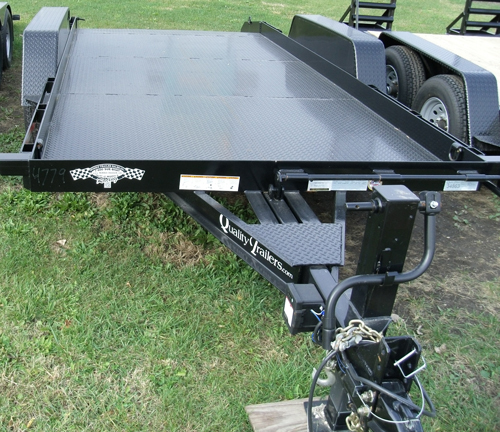 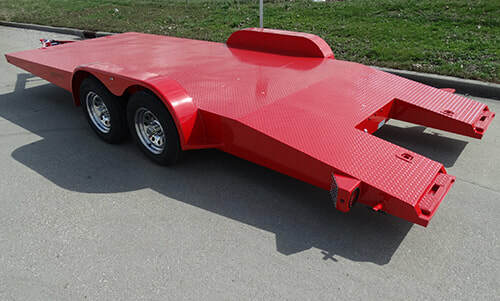 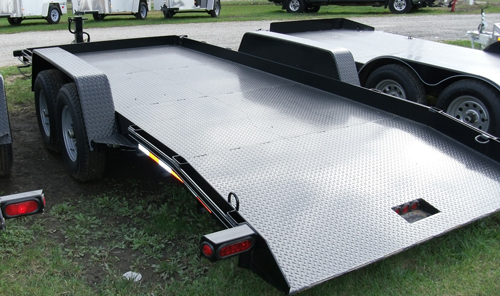 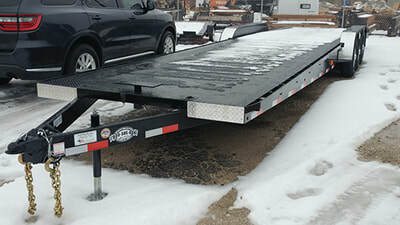 ​Our 7' wide enclosed and all tandem (2 axle) trailers have electric brakes. 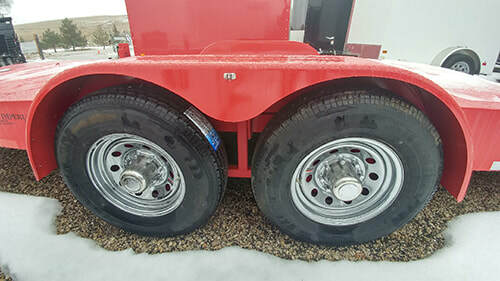 It is the responsibility of the purchasing party to follow their state or province's laws and regulations regarding brakes and safety lane inspections. 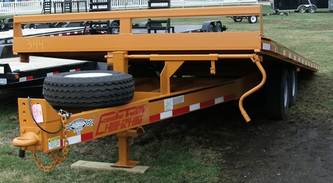 Route 6 & Ashley Rd.